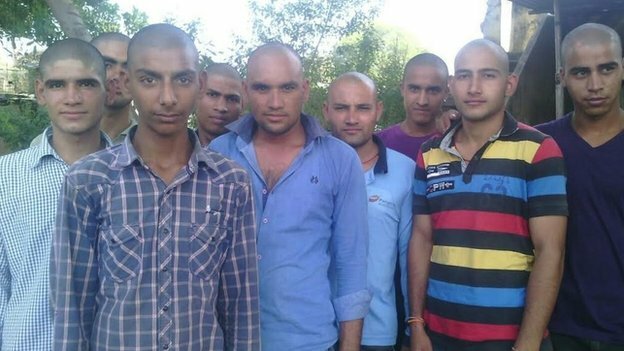 Nearly 200 Indian villagers have shaved their heads to mourn the death of a monkey from their local temple. The macaque drowned when it fell into a pond after being chased by dogs. Afraid that its death may bring them bad luck, the villagers held a funeral procession and cremated the animal according to Hindu rituals. Another 700 villagers shaved their beards off. 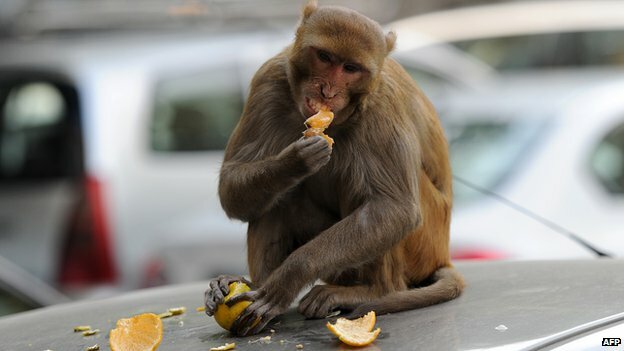 Monkeys are considered sacred by Hindus and there are temples dedicated to monkey god Hanuman across India. Hanuman is generally depicted with a human body, a red monkey's face and a tail and his followers believe that worshipping him will liberate them from fear and danger. The dead monkey was one of a pair that lived near a small Hanuman temple in Dakachya village in the central Indian state of Madhya Pradesh, village resident Mithun Patel said. It drowned on 2 September and its body was discovered by the villagers the next day. "The village elders said a monkey dying inside the village is very inauspicious. We were afraid it might bring us bad luck, a natural calamity," Mr Patel said. "So we decided to propitiate the monkey's soul to ensure nothing untoward happened in our village." After the monkey was cremated, the local men shaved their heads and beards as a sign of mourning. A group of villagers also travelled to the Hindu holy town of Haridwar to immerse the monkey's ashes in the holy river Ganges. The customary "11th-day feast to pray for the monkey's soul" was put off by a day and held on Sunday so that school children could also attend, Mr Patel said. Thousands of residents from four nearby villages also participated in the feast, which cost 150,000 rupees ($2,459; 1,506) to organise. 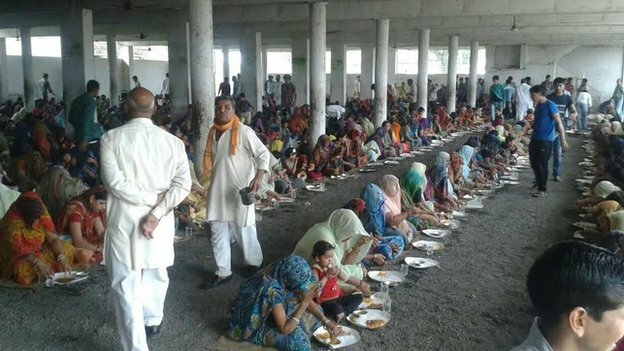 The feast was made possible through contributions in cash and kind from the villagers, Mr Patel said.